Check-in Time: 7:15 - 9:00 a.m. Choice of routes: ride 7, 18, 35, 48, 62, 80, or 100 miles. All routes include stops with food and water. Prizes: Door Prizes and more! First 400 riders to register receive a free “Ride, for Pete's Sake” T-shirt! Pre-registrations accepted until Sunday, August 9! OR, Pre-register in person at any Columbus-area BikeSource ( N. High St., Sawmill Rd, or Westerville ) and receive 10% off on your purchase (except bikes) the day you register! Directions: Hilliard Heritage Middle School is at 5670 Scioto Darby Road, slightly more than two miles west of I-270. From the Hilliard-Cemetary Road exit, drive west on Cemetery Road, and bear right onto Scioto Darby Road (just after the intersection with Main Street). The school is across from Hilliard Municipal Park. And Ride, for Pete’s Sake! Enjoy more refreshments at a rest stop on the route. The 7 mile course goes along the Heritage Rail Trail, passing through Homestead Park. The 18 and 35 mile courses are mostly flat jaunts to the scenic Big Darby Creek. The 48 mile route follows flat to gently rolling terrain on lightly traveled township roads, following the Big Darby toward its source. The new 62 mile route is for those wanting that metric century! The 80 and 100 mile courses follow the same route with additional loops featuring longer grades. All routes are marked with arrows on the road, and include a rest stop with refreshments and water. Don't miss the food provided at the start, and the cookout following the ride! All riders must wear helmets and follow local traffic laws. A parent or guardian must accompany any child under 13. How to change a flat - Maybe people on the MNR can learn a trick or two. COLUMBUS, Ohio—A Newark man was indicted on four charges after he allegedly struck a bicyclist in Hilliard. NBC 4 reported with the FAST FACTS. Edward S. Miller, 28, of Newark was indicted on two counts of aggravated vehicular homicide and two counts of OMVI Wednesday. The crash happened at about 6 a.m. Saturday, July 18 on Cemetery Road in Hilliard. Authorities said Miller was driving a pickup truck and Steven Barbour, 51, was riding a bicycle westbound on Cemetery Road and Norwich Street. Miller allegedly hit Barbour and originally was charged with aggravated vehicular assault, a third-degree felony. Authorities said Miller’s blood-alcohol content was .109 when the crash happened. Barbour died from his injuries at OSU Medical Center Main Tuesday, July 21. The two counts of aggravated vehicular homicide are second-degree felony charges. The two counts of OMVI are misdemeanor charges. He was arraigned and given a $5,000 cash surety bond and a $20,000 appearance bond for a total bond of $25,000. Miller posted bond and was to be released Thursday. His next court appearance was not been set currently, but he should be scheduled for a court date in three to four weeks, according to the Franklin County Clerk of Court’s office. Start Time: Assemble at 8:30 a.m. Ride starts promptly at 9:00 a.m.
Refreshments Following Ride: Dutch Kitchen Restaurant, Rt. 42, Plain City -11:00 a.m.
We have been able to obtain a permit from the City of Hilliard to conduct a ride in memory of our friend, Steve Barbour, who died as a result of the injuries he sustained when he was hit by a drunken driver on Cemetery Road, July 18th, 2009. The ride, escorted by the Hilliard Police, will proceed from the Heritage Trailhead to Cemetery Rd. where we will have a short ceremony and where we will place a "ghost bike" in Steve's memory. The ride will turn around at the Hilliard Plaza Shopping Center and return to the trailhead. We encourage participants to join the family at the Dutch Kitchen on Rt. 42, Plain City, after the ride. You may ride to the Dutch Kitchen or drive. Steve's family, will host the event at the Dutch Kitchen. Some suggestions have been made as to how we may best honor our friend. Here are just a few: Wear lights, both on your bike and on your person. Wear a jersey that best "connects" you to Steve, e.g., Dutch Kitchen jersey, TOSRV and any other that you wore while riding with Steve. In the interest of safety and as good examples to the community, helmets are required and all participants should ride no more than two abreast. Please forward this e-mail to others who may be interested in participating. If you would like to volunteer for the event, please contact me, Gail Falkinburg at 861-4478. We will be selling this limited edition t-shirt designed by Liz Samuelson from Genuine Creative. Email me at rgeorge@bikethecbus.com if you interested. BikeFest is Pittsburgh’s biggest cycling event for cyclists by cyclists. It’s BikePGH’s annual celebration of bicycling, showcasing Pittsburgh in all of its uniqueness and beauty. It is not an organized event, but a framework for volunteers and organizations to organize bicycle-themed events. Whether you ride everyday, the weekends, or just always wanted to try, BikeFest has an event for you! Pittsburgh is filled with interesting things to see and do, and there is no better way to experience the city than on a bicycle. So we decided to celebrate the two to both raise awareness of the bike as a fun, healthy, and environmentally friendly way to get around, and to highlight some of the amazing things Pittsburgh has to offer. There are a wide variety of bikers and organizations in this city and if we can all get to know one another, we’ll be able to make Pittsburgh a more bike friendly and livable city. 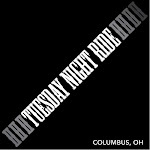 Sunday Night Ladies Ride is every Sunday Night! Nothing about the Pan-Massachusetts Challenge is small. Not the signature route of the enduring bicycle tour: 192 miles from Sturbridge to Cape Cod. Not the number of riders who participate: 5,000 this year (from 36 states and eight countries) and 59,000 since 1980. And certainly not the money the bike-athon has contributed toward making the Dana-Farber Cancer Institute in Boston a world leader in the fight against the disease: $270 mil- lion in 30 years. "The PMC has made what we do at Dana-Farber possible," said Dr. Edward J. Benz Jr., president of the 62-year-old cancer-research center and hospital. 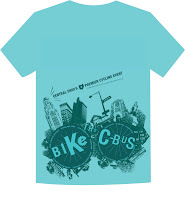 Check out the new website... www.bikethecbus.com - very cool features. 7:00-9AM. New Albany Elementary School, 87 N. High Street, New Albany. Ride the ridges on routes of 30/55/80/100 miles. Short route has three hills; longer routes have many more. Budget Tour. $2 members, $4 non-members. 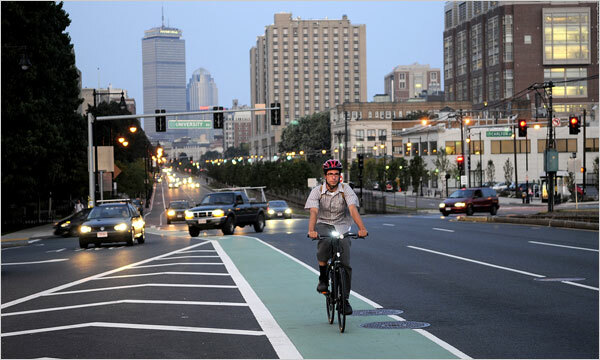 BOSTON — In a city known for its aggressive drivers, flummoxing street layout, confusing rotaries and overall rudeness on the road, what is a cyclist to do?